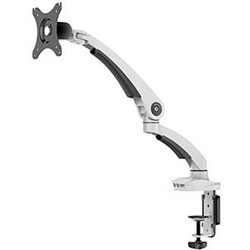 Features: Desk mount or Screw fix. Frame: Cast Aluminium and steel. Dimensions: Fits most 13'' to 23'' monitors.